We have released a new version of AthTek DigiBand with Piano Roll Window supported. All the purchased and trial users are allowed to update to the new version for free. If you were using a free license which ends up with “******431WPD”, please do not install and register this new version with your license on the same computer. Otherwise your license will be expired immediately and you have to buy a new license for continuously using. AthTek DigiBand v1.8 add piano roll window in notes editing. 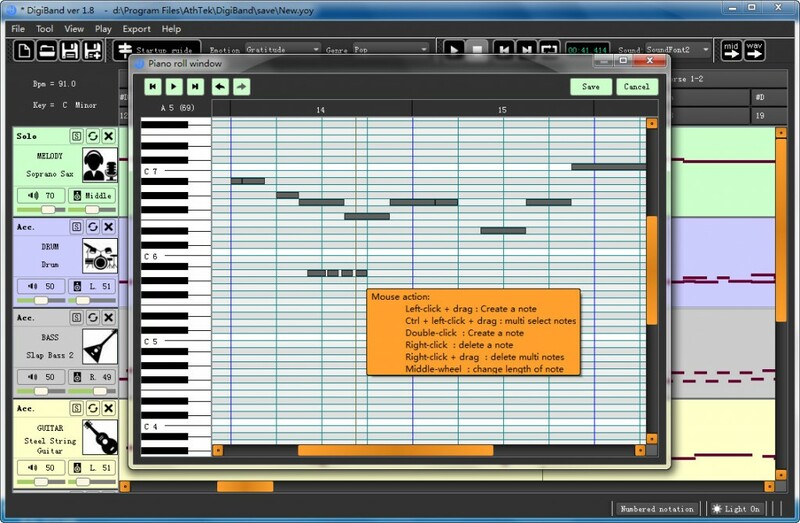 Users can access piano roll window by clicking on the button of editing. 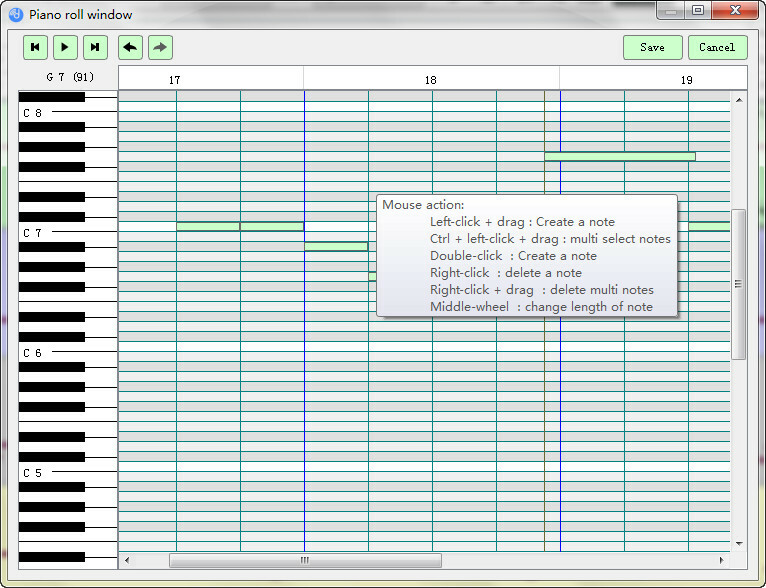 In the new piano roll window, users can edit every note individually with mouse. 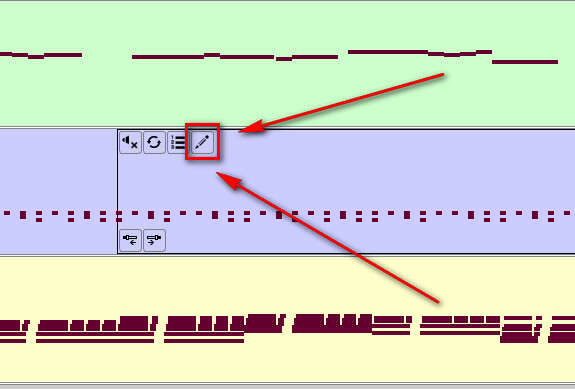 Left click + drag = create a long note. Ctrl + Left click + drag = select multiple notes. Double click = select a single note. Right click = delete a note. Right click + drag = delete multiple notes. mid-wheel = change length of note.